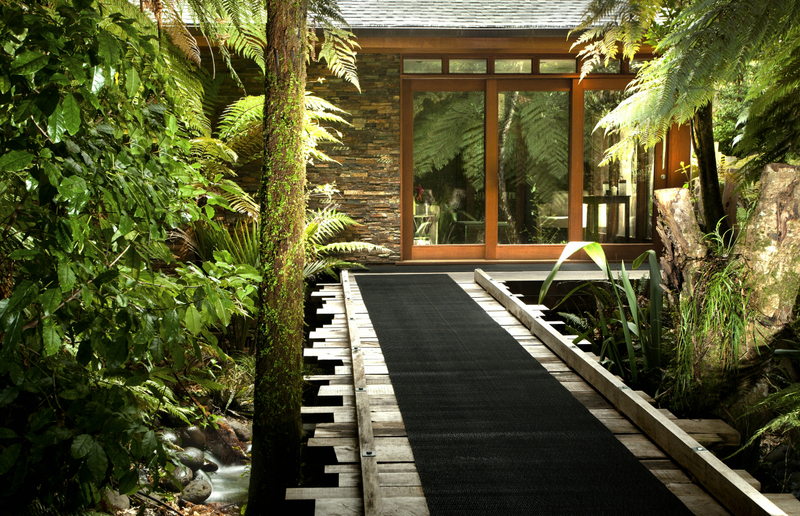 The day spa at Treetops Lodge. The great hall at Treetops Lodge. 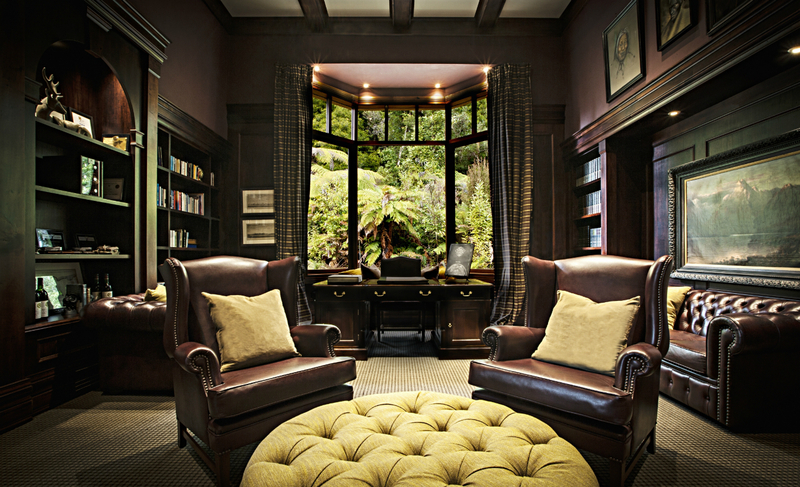 The library at Treetops Lodge. 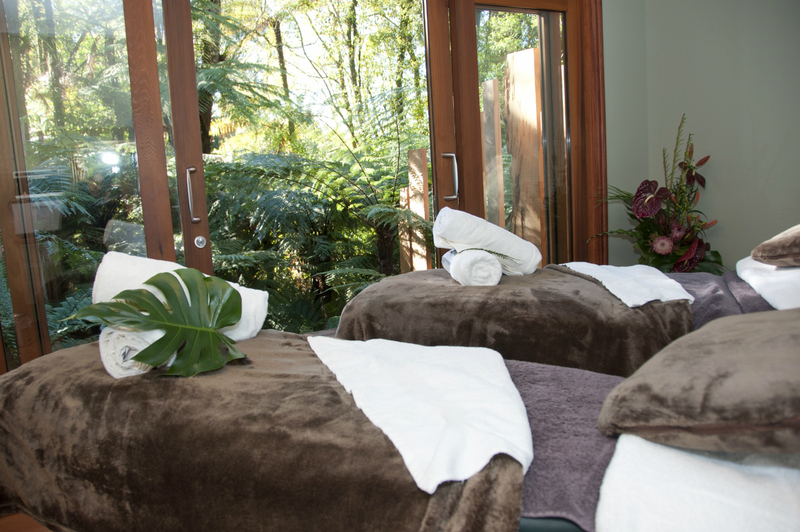 The spa treatment room at Treetops Lodge. An early morning safari at Treetops Lodge. Ranaika Beach at the Farm at Cape Kidnappers. 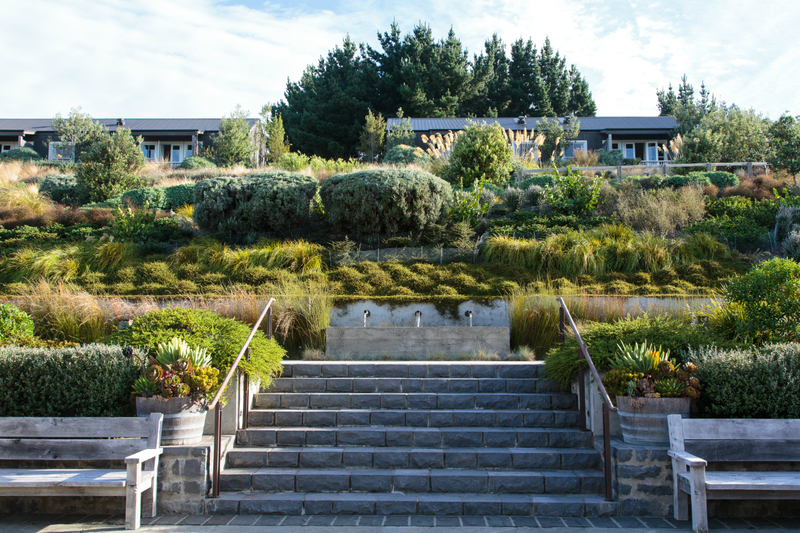 A garden path to the Hilltop Suites at Cape Kidnappers. The Farm at Cape Kidnappers. Adventure and impeccable accommodation unite. 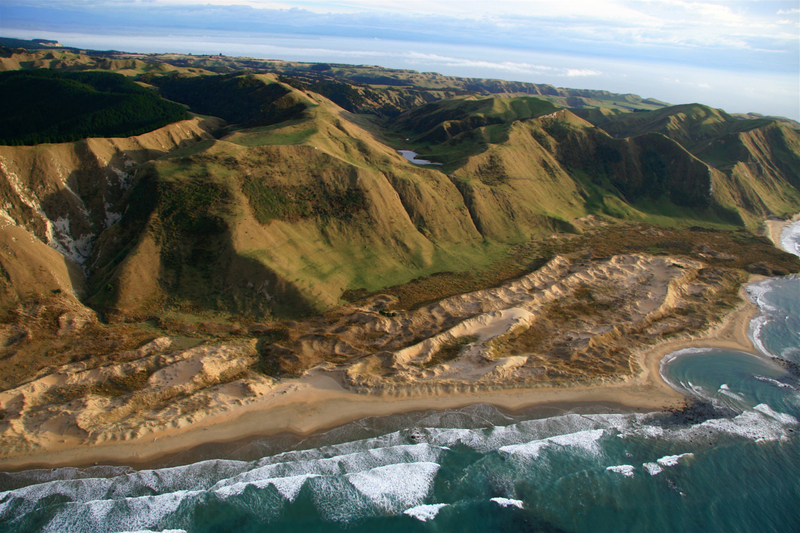 For such a tiny country, New Zealand has a wealth of natural beauty to explore. But getting out of the city doesn’t have to mean roughing it; scattered throughout the North and South Islands are myriad out-of-the-way luxury lodges, all boasting stunning landscapes, exceptional cuisine, sublime spas, and a plethora of distinctive activities to partake in. Herewith, three excellent accommodations to visit on your next trip to the land of the long white cloud. 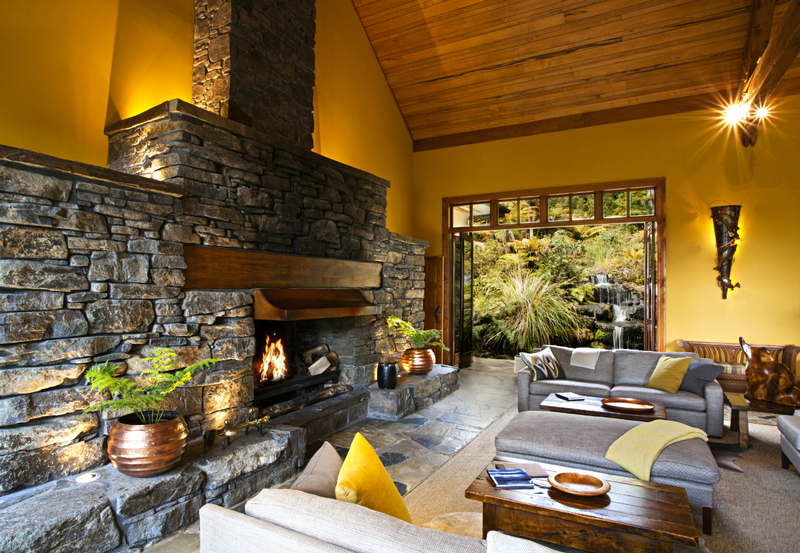 Refurbished in 2015, this secluded retreat sits amidst 2,500 acres of nearly millennia-old native forest. 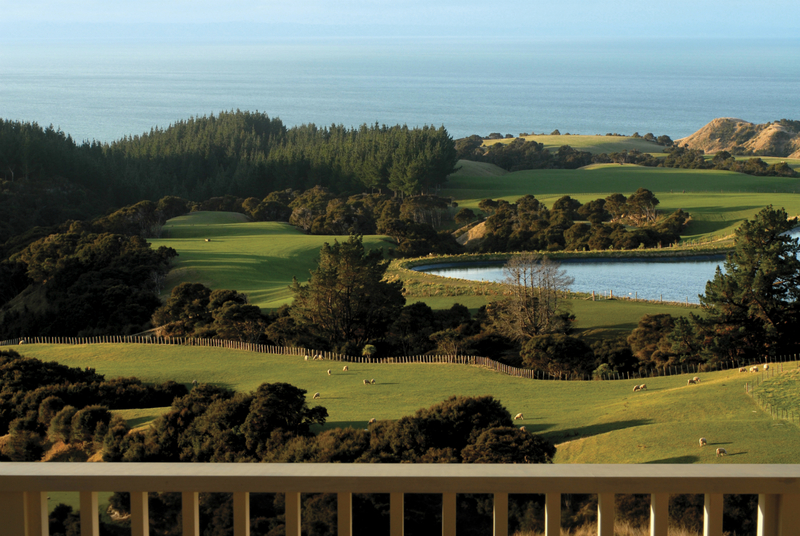 Whether you book a lodge room or a villa overlooking the valley, you’re unlikely to spend much time inside; you’ll be too busy riding horseback through the estate, hiking the trails to nearby waterfalls, or enjoying a therapeutic mirimiri massage—each of the latter begins with a Maori prayer and uses alignment techniques to restore and synchronize your mauri (life essence) and wairua (spirit). Treetops’s epicurean program includes an optional half-day wild food cooking experience, which takes guests on a four-wheel-drive trip into the forest for an hour-long guided walk to forage for indigenous herbs and vegetables to be used in a cooking class back at the lodge. 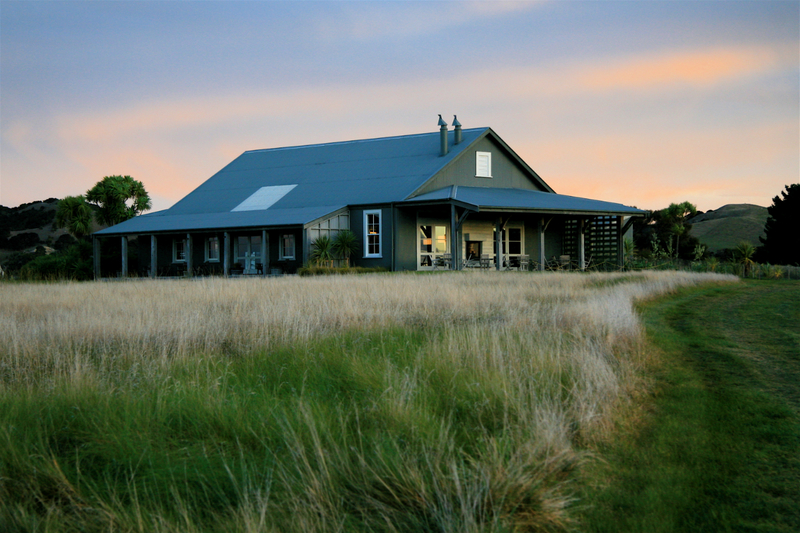 Perched at the edge of the ocean at Hawke’s Bay, one of the country’s finest wine regions, this rustic-chic property and working farm boasts a stellar cliff-side golf course and 6,000 acres of rolling hills with grazing sheep and cattle wandering amid. A can’t miss activity is the kiwi discovery walk, during which guests are guided to find, weigh, and measure one of the property’s 40 resident kiwis, the symbolic and endangered national bird whose conservation is a key concern to many New Zealanders. Relax after your excursion with a farm-to-table dinner featuring local seafood, vegetables from the lodge’s garden, and a glass of some of the country’s best craft beer or local wine. 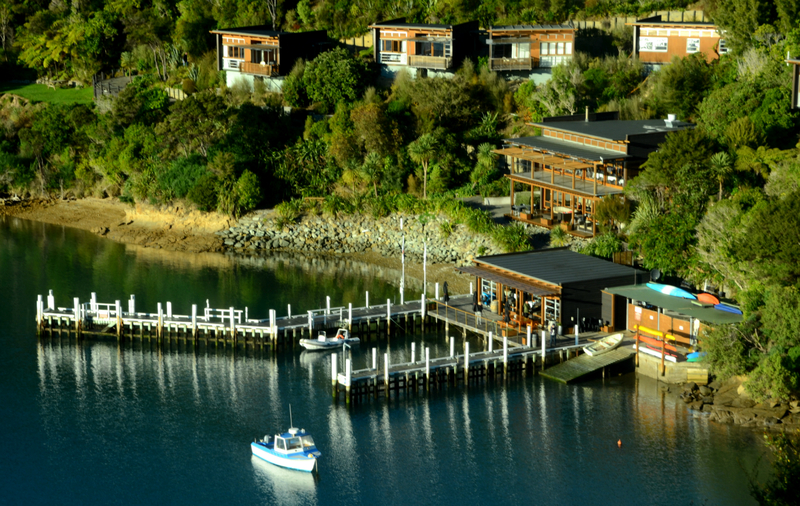 A truly remote seaside getaway, this forested property is accessible either by helicopter or by a 30-minute water taxi ride from the town of Picton, at the northern edge of the South Island. 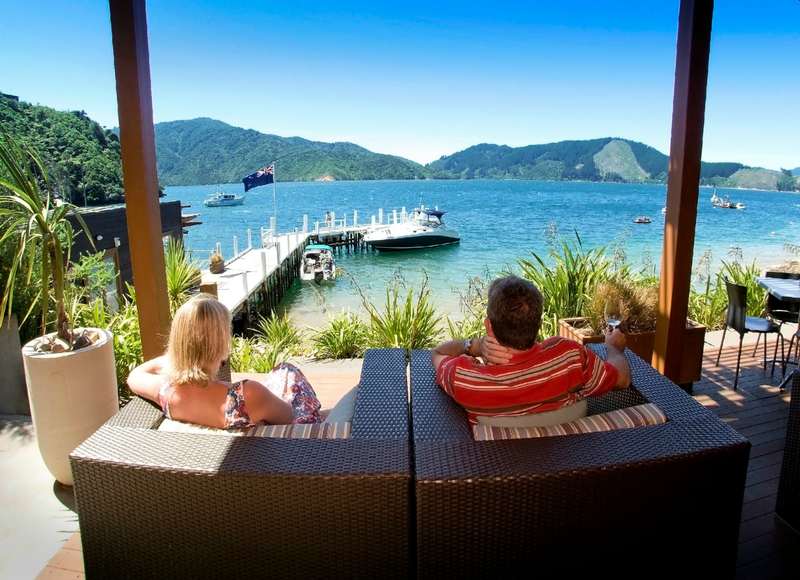 But isolated it is not—Marlborough Sounds is one of the country’s top producers of Sauvignon Blanc (best paired with locally-farmed Greenshell mussels). 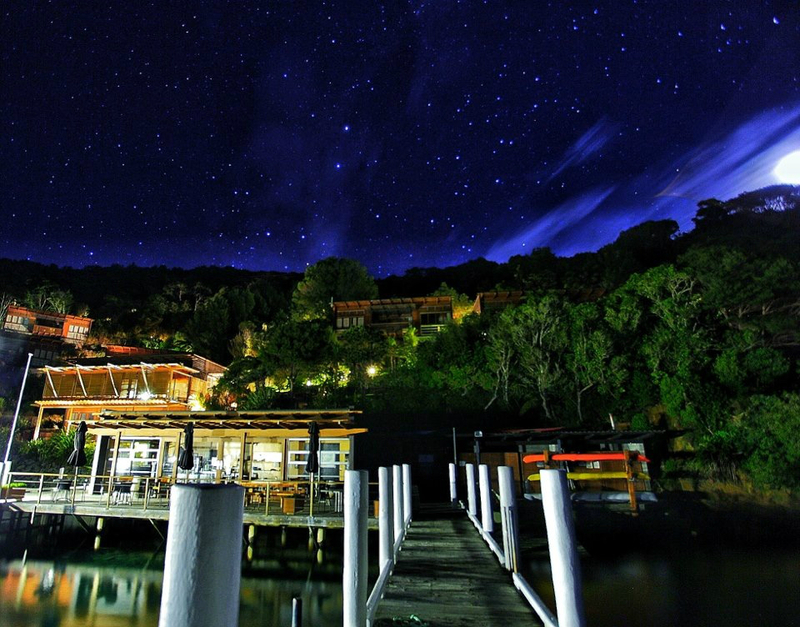 A paradise for water lovers, the lodge offers kayaking, fishing excursions, yacht cruises, and sailing, while those who prefer solid ground can explore gentle walking trails through the verdant underbrush—including a short nighttime walk to see lambent glow worms light up the dark. 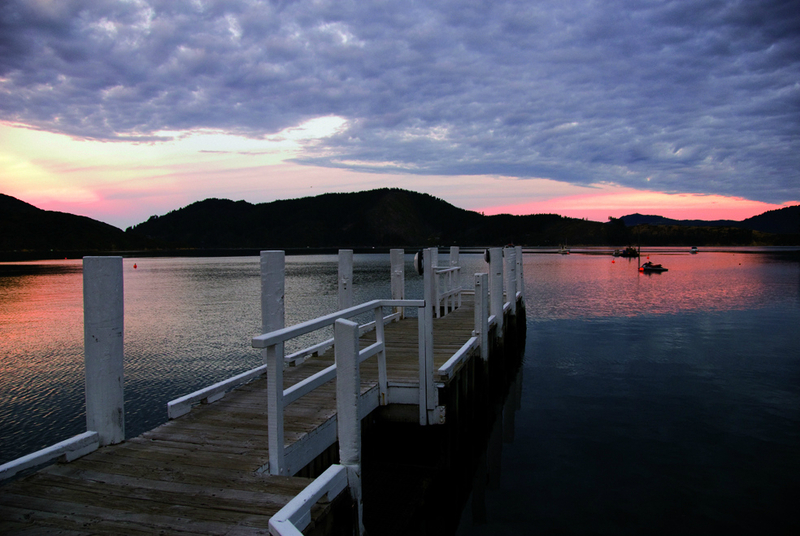 Those up for a challenge could find themselves on the 72 kilometre-long Queen Charlotte Track, available to guests as a guided or DIY excursion that can last anywhere from two hours to five days depending on your confidence level.